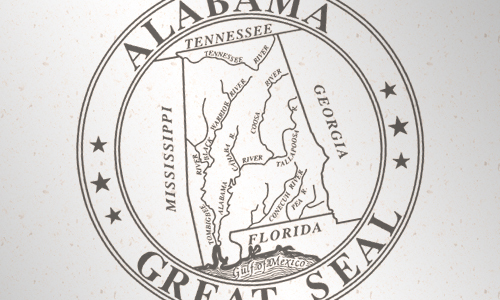 Do you want a guarantee that the courses you complete with Calhoun Community College will transfer to your chosen college or university in the state of Alabama? 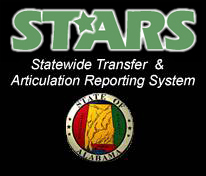 Such a guarantee is possible if you use and follow the information available via the STARS (Statewide Transfer Articulation and Reporting System) network. To use STARS, you should know your major and the college or university to which you intend to transfer. Using the Internet, go to http://stars.troy.edu/get_the_guide.html , enter the system, and follow the directions. What you will find is a complete listing of required courses and options for your chosen degree divided into five sections labeled Areas I through V. There is no guesswork. Specific courses and directions are provided for your use. Please pay special attention to Area V, Pre-Professional, Major, and Elective Courses. This section provides special information as well as providing an Area V link to the colleges and universities that offer your chosen major. Select your college/university, click on Area V, and review any special recommendations or requirements. Use your browser to print the information provided. Remember. STARS is a great tool for you to use. If you encounter any problems or have questions, contact one of our Advising Centers for assistance.